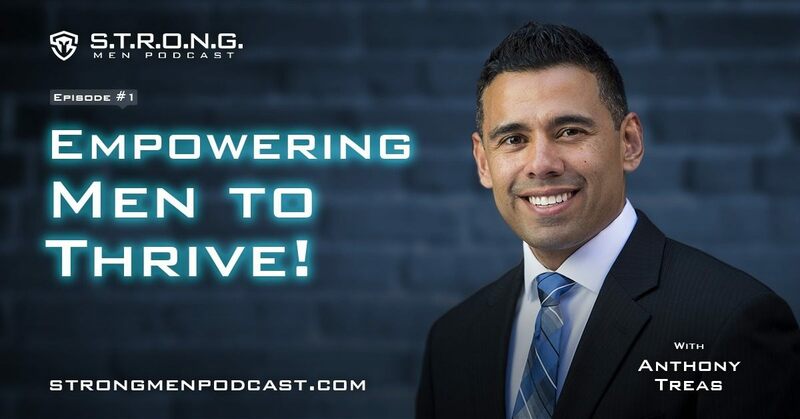 ​I am excited to be officially launching my STRONG Men Podcast - Empowering Men to Thrive! ​My desire to create this podcast has been has been for ​many years now. Like many projects, they can take longer than we expect them to take. ​This podcast was created to bring empowering messages to men. It is time for men to hear supporting and encouraging messages about their great struggles and battles about being a man today. My hope is that men will begin to thrive in their life. As a health and life coach for men, I often hear stories of how men are confused about what it means to be a man in today's society. Men are struggling with finding their purpose and true fulfillment in their life. These struggles often lead to health issues that cause anxiety, depression, worry, and ultimately, chronic diseases that can be prevented. ​It is time for men to thrive in all areas of their life! It is time for more men to having amazing relationships with the spouse, their children, and to enjoy rewarding careers. I would like to encourage you to listen and to provide me with your thoughts when you are lead to. This podcast is to serve men and to empower them to live a long health and fulfilling life. I would also like to ask that you share my podcast with other men. The more men that hear these supporting and encouraging messages, the more men will begin to live exciting and fulfilled lives.